Manipulating your carb intakes can determine how much energy you have, and how much fat you carry! By taking control over your carbs you can ultimately burn off more fat, become more metabolic and get better control over your outcomes. It has been shown that those following a low carb diet lose weight 2 to 3 times faster and have better body compositions then those following a diet of the same caloric value. For best results use these five carb tips for leaner results. When it comes to burning fat, carbs are a major factor in accessing your fat burning. Lowering your carbs limits the amount of available carbs and thus forces the body to use other sources of energy including your fat preferentially for fuel instead. In fact, there is no established recommended daily intake for carbs because the human body can actually adapt to a very low carbohydrate diet, and manufacture the glucose that it needs for metabolic processes via other systems in the body. One pathway called ketogenesis, kicks in when you have exhausted your muscle glycogen. Ketones are a by-product of incomplete breakdown of free fatty acids by the liver. They serve as a fat derived fuel for tissues including the brain. When ketones start to accumulate this causes a metabolic state called ketosis, which spares protein and increase fat breakdown. To get to ketosis will require eating 20% or less of carbs in your diet. Getting to ketosis will take a few days of following this regime before you start accessing your fat stores and is dependent on the individual, your activity levels and how much extra weight you’re carrying. How to Do it: Use a diet that provides about 20% or less of your daily calories from carbs. Follow this diet for about 5 to 7 days, and then have a carb re-feed as per tip four below. Then repeat, again for a minimum of 4-weeks. After 4-weeks, re-evaluate, you may want to have your re-feed more frequently based on the amount of weight you have lost and your energy levels. Making sure you utilize all the carbs you’re taking in, is as simple as eating your carbs at specific times where your body is more receptive to up-take. This is usually first thing in the morning and immediately after your workout, where muscle glycogen levels are at their lowest level. Consuming carbs at these times will make the most out of your metabolic and hormonal responses as well. It has been shown that eating a breakfast containing a slow digesting carb such as oatmeal, along with a protein such as eggs can not only provide sustained energy, it can also help kick start metabolism and prevent overeating later in the day. Eating carbs post-workout can help stimulate hormones for growth and recovery including insulin, which helps direct nutrients to muscles for up-take. How to Do it: Start your morning with good sources of carbs such as oats and fruit like berries, for lunch have a slow digesting carb like brown rice that will help prevent midday energy crashes. Post workout, have a faster digesting carb like white potato to help replenish muscle glycogen and drive nutrient delivery. The type of carbs you eat can make a huge difference in your results. Eating a diet that provides long-lasting and sustaining carbs from sources such as oatmeal, brown rice, quinoa, vegetables such as sweet potato and squashes, or fruit like apples and berries are all high in fiber and can deliver essential nutrients, vitamins and minerals needed by the body. 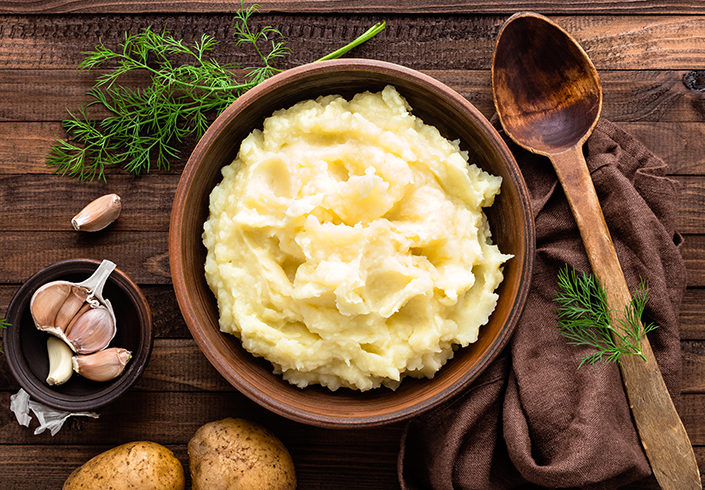 Eating simple, high glycemic carbs such as white potato, white rice, sugar or bread provide a very short burst of energy that spikes blood glucose and insulin levels followed immediately by an energy crash, resulting in cravings and hunger. How to Do it: Choose a few slow digesting carbs to choose from, for example have oats for breakfast, have broccoli and sweet potatoes with your lunch, and an apple with your afternoon shake. If you decide to follow a very low carb diet for an extended period of time, your body will start to adjust. This adjustment can lead to a plateau that will halt your progress. This plateau can be caused by low calorie and low carb dieting for prolonged periods of time, resulting in reduced leptin response. Lower leptin causes increased cravings, not to mention a down regulation of metabolism and reduce energy expenditure. Although you might think that dropping your calories further is the answer, it is not. The best thing to do is to up your calories and your carbs by doing a weekly re-feed. This will not only stimulate leptin, it will help decrease hunger, cravings and stimulate your metabolism! This can also increase muscle glycogen levels, which means you’ll have much more energy for your workouts! How to Do it: Pick one day per week to increase your carb intake. If you’re currently following a diet that provides only 20% of carbs, then increase it up to 50%, try to maintain your protein intake and lower your fat intake since it has less of an impact on hormones involved in appetite and metabolic regulation. You can also up-take your calorie intake by at least 250 calories for a greater metabolic affect. No matter if you eat slow digesting or fast digesting carbs the result is always the same, eventually the blood sugar levels will rise and insulin will get released. Most of us are not too active at night, this means instead of using that readily available energy the body will store it instead, unless you’re in a very depleted state. Eat your carbs at regular intervals throughout the day to avoid storage, and help maintain blood glucose balance in the body. This will also help keep your energy levels maintained. How to Do it: Divide your carb intakes evenly throughout the day to help maintain your blood sugar levels. For example if you’re eating about 75 g of carbs per day have three meals with about 20 to 25 g of carbs with each. The rest of your meals can focus more on protein, fat and vegetables. Just remember vegetables count for carbs too, so make sure you reserve some of your carbs for these as well.